Puriflow Filters have a wide range of quality replacement filter cartridges for all types of water filters stocked by us, from small kitchen countertop filters through to large commercial systems. 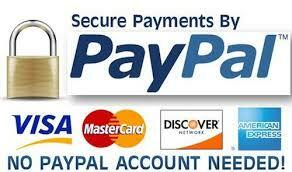 If you can't find exactly what you are looking for below, just contact us and we will help you to find what you need. Our filters can be used in conjunction with or to replace a wide range of systems on the market. View all here or click on 'Replacement Cartridges' in the menu bar above and browse by filter type. 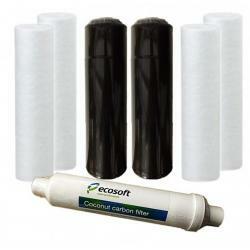 3 Pack of ProOne® G2.0 7" Filter Elements This is the triple filter pack for the P..
50 GPD Reverse Osmosis Membrane Replacement 50gpd (Gallons per Day) Reverse .. Active Ceramics 3 Year Whole House System Replacement Filter 4.5 x 20 Inch ..
BMB Alkaline & Detox Filters for BMB-10, BMB-20 and Osmio Black Line HP-107 .. Compatible BEKO Fridge Filter saves you £££s with superior filtration The Ecopure Ec..
Berkey PF-2 Fluoride and Arsenic Filters Berkey PF-2 reduction el..
Black Berkey Water Filter Elements (Set of 2) Set of two Black Berkey..